Two Brits in the top ten at the end of the second full day of Rallying in Sweden but the star of the show is Thierry Neuville in the Hyundai who snatched the lead over the final two tests of the day. 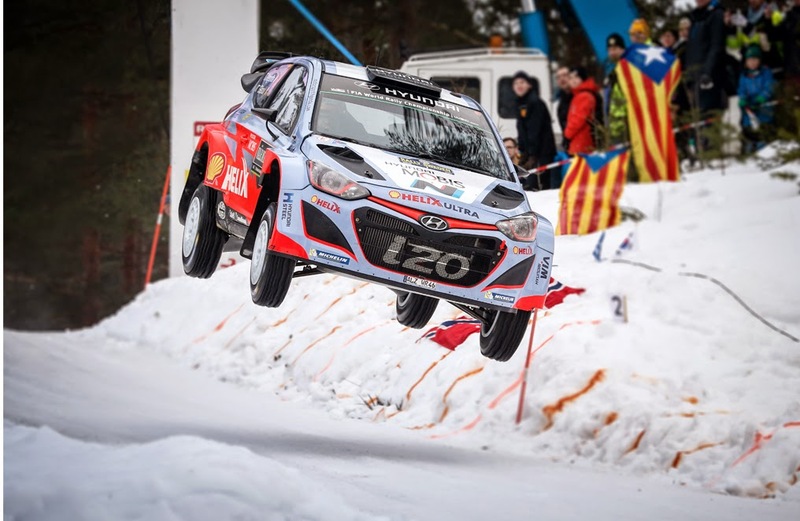 Neuville also earned himself this year’s ‘Colin’s Crest Award’ in the Vargåsen stage, breaking the record for the longest jump in the Arena as he leaped a staggering 44 mtrs. 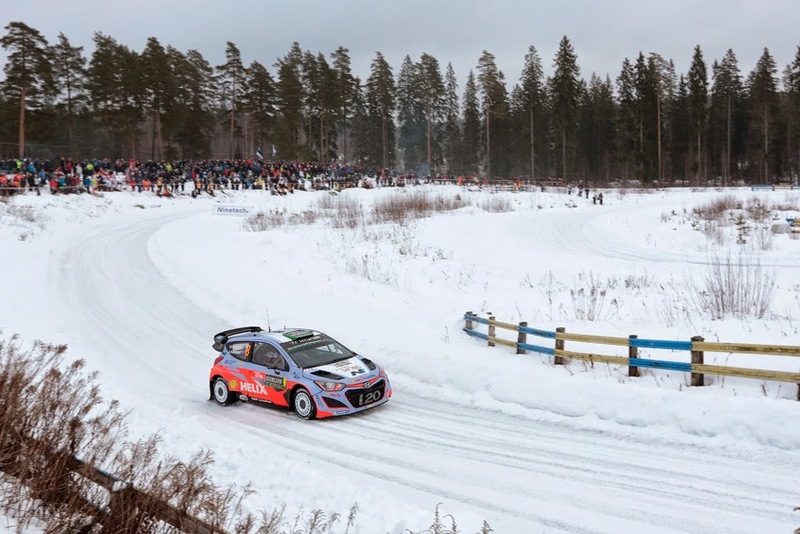 It is the second year running that a Hyundai Motorsport driver has claimed the award after Juho Hänninen took the honours last season.